In the center of the verdant Garfagnana valley is the area of San Romano, the perfect destination for hiking in the mountains and unwinding in the enchanting countryside. Occupied since ancient times (with archeological treasures from the Ligurian and Roman eras), the zone has always been a cause of conflict despite its isolated position. During the Middle Ages, the area was divided into two feudal lordships. To the north were the Gherardinghi, the more important rulers based in Verrucole Castle, a residence perched on a hill bearing the same name. The counts of Bacciano ruled the south, whose castle was destroyed during the Renaissance. 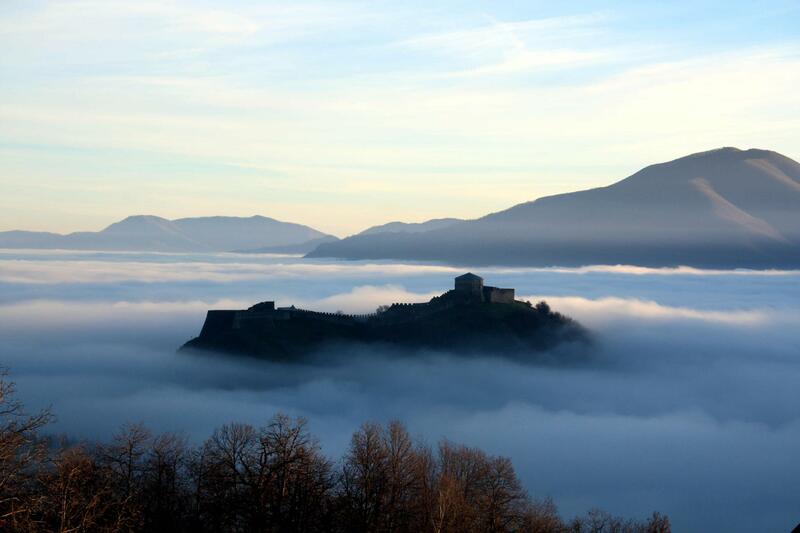 In the 16th century, the San Romano in Garfagnana territory was sieged by Florentines and later, after a brief period of independence, fell to the Republic of Lucca. The fight for this land continued until the Este family victory, under whose power it would remain until Italian Unification. In the center of San Romano, head to the beautiful Baroque church of San Romano Martire, home to a stunning 18th-century organ crowned by a statue of the saint. Be sure not to miss Palazzo Pelliccioni-Marazzini, marked by an evocative arched balcony. Not far from town is the Sanctuary of the Madonna del Bosco where the Madonna della Cintura (Madonna of the Girdle) is worshipped. The star of the town is Verrucole Castle, a well-preserved structure boasting a polygonal tower and impressive walls. The recently restored castle is now home to a lively Archeopark: follow a mule trail from the center of town to be greeted by medieval characters upon arrival. Among the many treasures, be sure to check out the medieval towns of Naggio and Orzaglia, the church of San Giovanni Battista and the church of the Addolorata in Sillicagnana. Nature lovers, be sure not to miss venturing through the trails of the Orecchiella Park, a nature reserve based in San Romano. At the Visitors’ Center, you can check out the Nature Museum and the “House of Prey” to discover the curiosities of the area. Don’t miss the striking Mountain Garden where you can stroll through colorful mountain greenery and find several enclosures hosting local animals, such as roe and brown bears.